Apprentice Gabriel. Another great college student and painter. Gabriel is currently attending Idaho State University and studying to be a RN. Gabriel brings hard work, attention to detail, and cleanliness to our team. 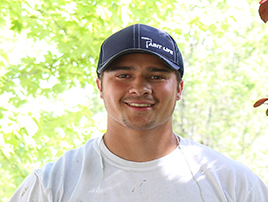 Gabriel is a positive worker who enjoys having fun on the job site. Gabriel is a trustworthy employee who continues to show up to work on time and give every day 100%. 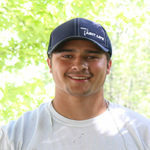 In his second year with B&K Painting Gabriel has learned to handle a paint brush and prep homes for painting. Glad to have a constant smile back on the job site during the summer. When not working, Gabriel can be found wake boarding, playing baseball, and even can be seen on the soccer field.